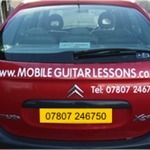 Music Tuition in Leeds - Book Private Music Lessons Online! Do you live in Leeds and are looking to learn guitar, piano, drums, woodwind or brass? Find a local music teachers and book music lessons directly with Musician Go! We are a fledgling online community and our brand new website offers the web's most comprehensive search for helping musicians find music teachers living in their area. So if you're hoping to quickly find local drum, guitar, bass, vocalists, pianos, violin and cello teachers, use Musician Go today! We are the web's most inclusive online platform for music teachers looking to find new students. Similarly, we aim to help all instrumentalists - no matter their experience or ability - to find the right tutor to help them harness their musical talents. Create a free music teacher profile now!